Germany’s oldest cities date back to the Roman Empire, which was founded in 27 BC and encompassed vast territories in today’s western Germany. Troops set up military camps along the Rhine River, many of which developed into cities that still exist today. Here are the 12 oldest cities in Germany. 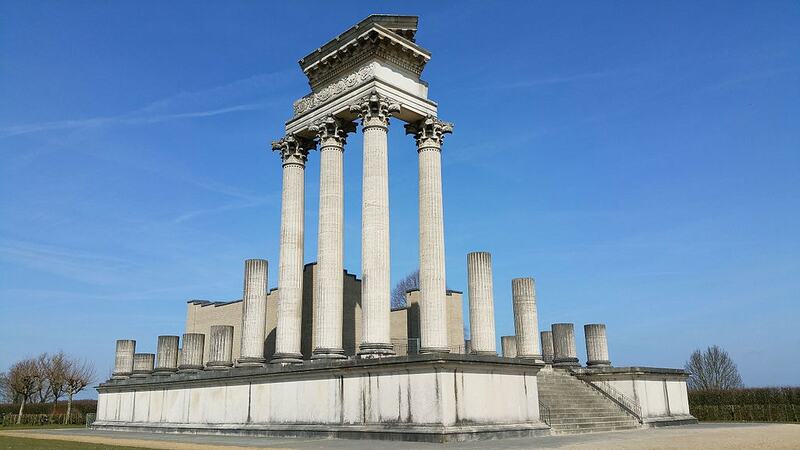 Xanten developed from the Roman settlement Colonia Ulpia Traiana which for more than 400 years was one of the Empire’s most important strategic points. Today, one of the world’s largest archaeological open-air museums covers the area of the ancient settlement and preserves what careful excavations have unearthed. Faithful reconstructions built on the original foundations allow visitors to step into an amphitheatre, bathhouses, temples and more. Across the Rhine River from Düsseldorf, Neuss boasts a 2,033-year-long history which dates back to its time as Roman military fortification, then known as Novaesium. The most important findings, from ceramics and tools, are on display at the Clemens-Sels Museum, while the nearby Romaneum excavation site allows a look at the remains of a Roman underground vault. Today, Cologne is Germany’s fourth largest city and is mostly known for its impressive Gothic cathedral, Christmas markets and Karneval celebrations. An early Roman settlement laid the foundation for the city Colonia Claudia Ara Agrippinensium which was founded in 50 AD. 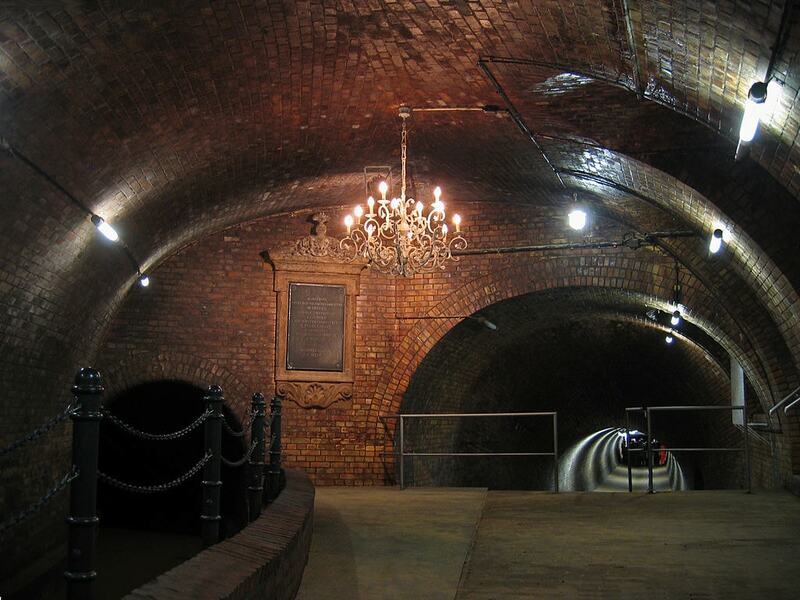 Several historic sites bear witness to these times and can be explored today. Besides the remains of the old city walls and watchtowers across the city, highlights include a well-preserved vaulted sewage system and the Praetorium, the former Roman Governor’s Palace. The Romano-Germanic Museum displays a vast array of excavation finds, including ceramics, coins, weaponry and the world-renowned Dionysus mosaic remains. Bonn is not only the birthplace of Ludwig van Beethoven, but is also the former capital of Germany, not to mention home to the German UN-seat and built on foundations that are more than 2,000 years old. Over centuries, the 12 BC Roman settlement Castra Bonnensia grew to be an important city along the Rhine. You can see the fragments of hand-painted murals and other exhibits at the Haus der Geschichte, while the permanent exhibition at the LVR Landesmuseum showcases an extensive collection of artefact from the region. 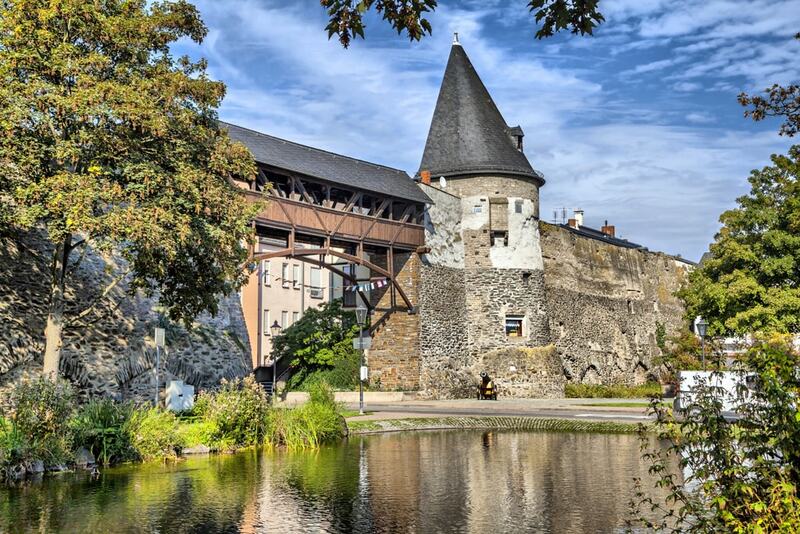 With a population of only 30,000, Andernach isn’t particularly well known as a tourist hotspot, but this town 45 kilometres (28 miles) upstream from Bonn has some worthy sights that exemplify its 2,000-year-long history. Founded as Porta Antunnacensis, Andernach developed to be a significant trading town. Today, the medieval St. Mary’s Cathedral marks the spot of the ancient settlement, while building works around the parish community centre unveiled a Roman bathhouse in 2006 which can be visited today. If you take a trip to Andernach, don’t miss the remains of the old city walls, the Rheintor gate from 1200 and – this might be a bit of a surprise – the world’s highest cold-water geyser. Right at the confluence of Germany’s most romantic river and the Moselle sits Koblenz. Troops under the command of Julius Caesar recognised the strategic importance of the location and erected the military post named Castellum apud Confluentes in 9 BC. Some remains are still visible today, but in the more than 2,000 years of its existence, Koblenz has given rise to majestic sights from all ages. The St Kastor basilica, the Electoral Palace and the Deutsches Eck monument just a few of repute But the absolute highlights are the cable car ride up to Ehrenbreitstein fortress and the panoramic views over Koblenz that wait for you up top and the neo-Gothic Stolzenfels Castle, a UNESCO World Heritage Site. Trier is often named as Germany’s oldest city, dating back to the first century BC. Even though the city has a fascinating history, a number of Roman sights and is within easy reach from major hubs such as Cologne and Frankfurt, it’s still a somewhat off the beaten path destination. 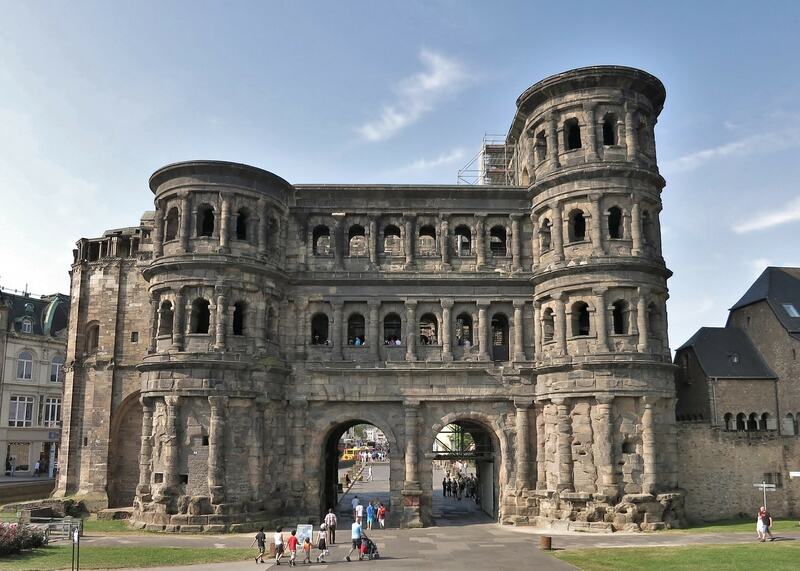 Visiting the well-preserved Porta Nigra, imperial bathhouses and the amphitheatre here is like taking a step back in time to the ancient world of the Roman Empire. Founded as a military post (Castrum Mogontiacum) in the first century BC, over the centuries Mainz rose to be the capital of one of the most influential states of the Holy Roman Empire, the Electorate of Mainz. Remnants of an aqueduct, town gates and the famous 20-metre (66-feet)-high Drusus monument at the Mainz Citadel are what remains of the ancient era. Roman influences aside, Mainz is also known for being the birthplace of movable-type printing press invented by Johannes Gutenberg in the mid-15th century, and artefacts are on display at a museum in the city. In Germany, Worms is often associated with its imposing imperial cathedral and with being mentioned in the Song of the Nibelungs, an epic poem which dates back to the 13th century and tells the story of dragon-slayer Siegfried. Worms developed after Romans conquered the city in 14 BC, but Germanic tribes and Celts before that are believed to have inhabited the area for more than 5,000 years previously. Under Roman rule, Worms became the capital of the Burgundian Kingdom and relics of the time can be seen at the Worms City Museum. Speyer is less than half an hour away from Heidelberg, and wows with thousands of years of history. 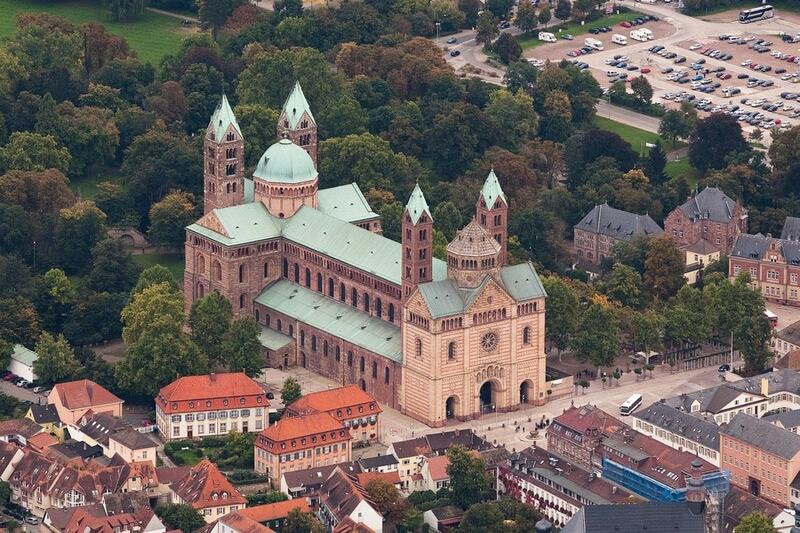 In 10 BC Romans erected a military camp in what is now Speyer’s city centre, and later called the settlement Noviomagus. Findings from that time are displayed at the Historical Museum of the Palatinate, but the city’s most prominent landmark is the imperial Cathedral, a UNESCO site, which was built around 1025 and houses several burial sites of past emperors and kings. Leaving the Rhine region and entering Bavaria, the list of Germany’s oldest cities continues. This Roman military camp developed into Augusta Vindelicorum in 15 BC and soon after, the Via Augusta Vindelicorum – one of the most important Roman trading arteries – connected Augsburg with today’s northern Italy. Road signs still mark the route today. A collection of artefacts that are left from that time can be seen at the Roman Museum. Celts had already settled in the area before Romans conquered the Alpine foothills and established Cambodunum, probably a few years before Augsburg. The archaeological park in Kempten shows relics from the Roman settlement, including the foundations and walls of temples, bathhouses and a basilica which have been unearthed over the past 120 years.